Georgia Strait Alliance campaigned in 1992 to oppose federal government plans to de-staff 14 west coast lighthouses and we continue to support maintenance of staffed lighthouses in the region. Lightkeepers provide a number of vital services to mariners and aviators that cannot be effectively duplicated by automated devices. Lightkeepers provide accurate and timely weather updates, help mariners with mechanical troubles, provide support to people forced to seek shelter from foul weather and assist in many search and rescue operations. We spoke out again in 1995 with a submission to the Canadian Coast Guard opposing any reduction in staff or services. Thanks to the efforts of GSA and the loud voices of protest from many other groups and individuals in the region, on September 30, 2009, the Department of Fisheries and Oceans announced it would put aside its decision to de-staff lighthouses on BC’s coast and conduct a thorough review of the issue, including consultations with lightkeepers and other stakeholders. 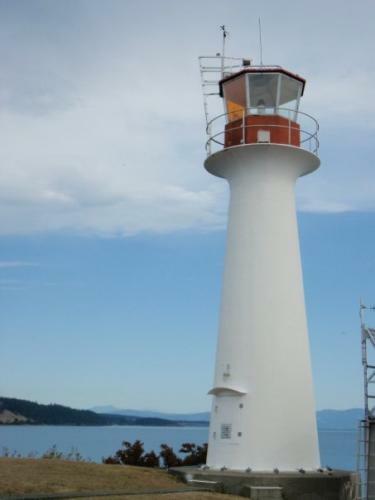 GSA strongly believes that staffed lighthouses are important to Georgia Strait and we will continue to watch for any signs the government may try to phase them out. Read our previous submissions below. Over the years, Georgia Strait Alliance has made official submissions opposing the de-staffing of lighthouses. With continuing pressure on our lighthouse communities, the issues we have raised over the years remain relevant today.